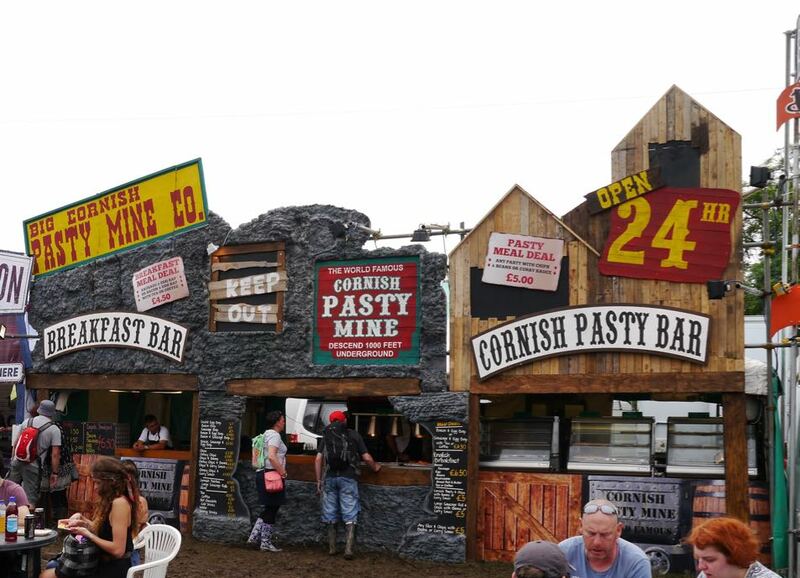 Traders Awards at Glastonbury 2016. Again entries for the 2016 Awards were completed before our traders even got to site and we had some impressive applications. This year we were looking for a food trader able to provide an extensive menu and yet remain very focussed on their green credentials. The Gold prize (which is a free pitch for next year) for the most sustainable food trader was awarded to Le Café Crepe who serve a range of delicious handmade food sourced locally. Sarah and her team not only concentrate on the food they serve but also on the resources needed to prepare their food and the waste created as a result. They use many simple but very effective techniques which ensure they achieve their sustainable objectives. The key is to ensure all staff are trained sufficiently to ensure Sarah’s aims and objectives turn into reality. You only need to visit the stall and chat to Sarah and the team to see the results of her hard work. Well done Sarah. 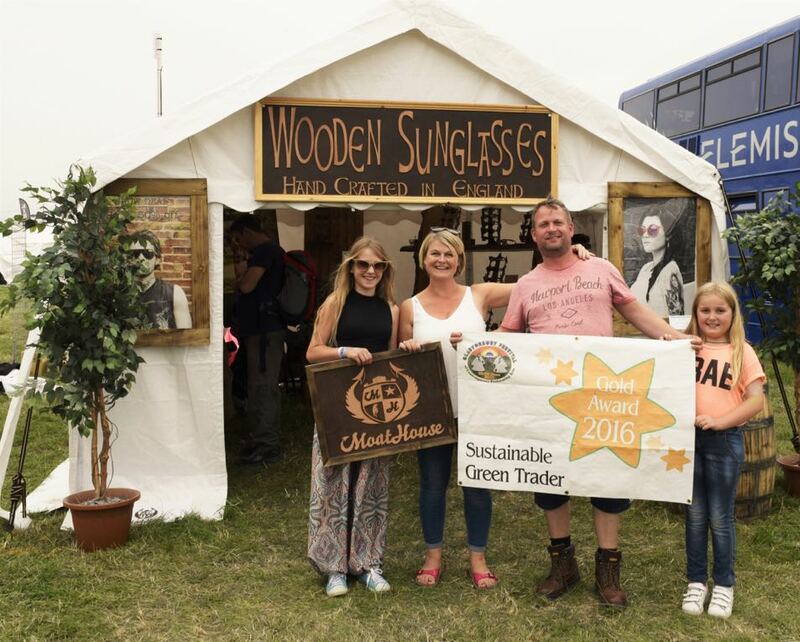 Our most sustainable non-food trader award was presented to Moat House Eyewear who manufacture and sell wooden sunglasses. 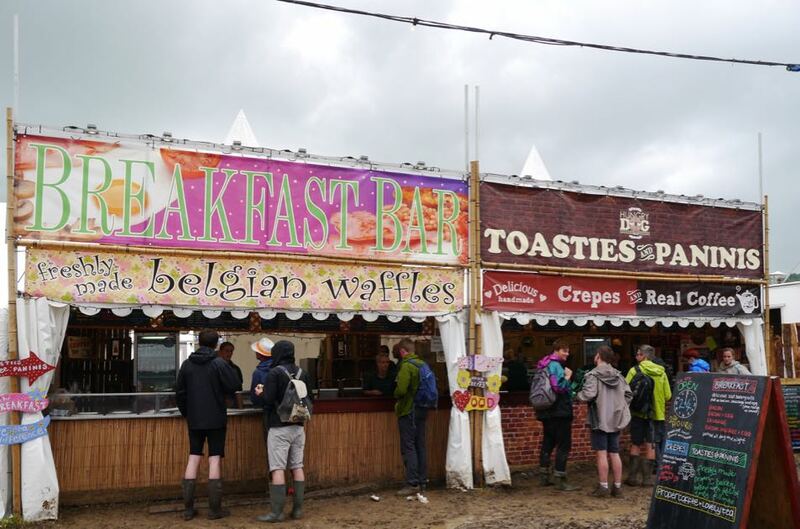 For Samantha and Nick, 2016 was their first visit to Glastonbury which sadly was one where the sunshine was not in great supply but we were impressed with their commitment to offering a unique, eco-friendly alternative to plastic. The combination of a locally made product created from responsible sourced certified and re-claimed wood, coupled with the knowledge that for every pair of sunglasses sold, a tree is planted in the rainforest, led us to look at their product and their attitude to sustainability more carefully. We were delighted when we discovered their whole approach to protecting environment reflected their values. 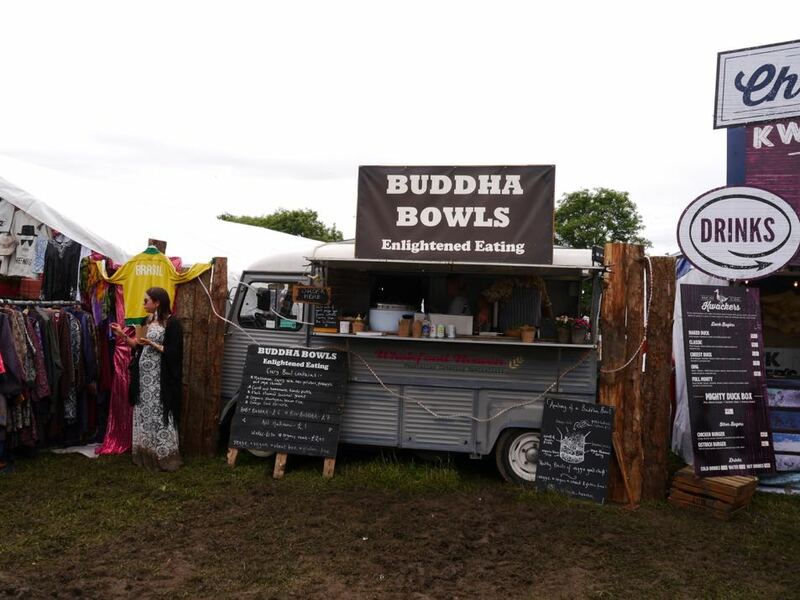 With votes cast by Twitter for the People’s Choice Award, the outstanding winner was Wholefood Heaven who you may know by the name of their signature dish Buddha Bowls. This amazingly hardworking husband and wife team continue to produce good quality curry whatever the weather. Their food is homemade from the best ingredients and obviously touched the hearts and stomachs of our hungry festival goers this year. Well done. The best dressed stall was again a very difficult competition this year. Despite the weather our traders continued to present themselves to a very high standard – one of which we are very proud of – it is a joy to see the variety and effort most traders go to, to ensure their stall looks attractive. This year we awarded the prize to a stall which we felt had done the most to improve their look. Well done to Stephens Event Catering for making a considerable effort, despite the weather. We would also like to make a special mention to Te a Tost who came a very close second – well done Bill and thank you.